(MIRAMAR, FL) November 28, 2016 -- Arise Virtual Solutions Inc., award-winning leader in on-demand customer management SaaS solutions, announced results of a survey of the thousands of primarily work-from-home small call center businesses using its technology platform. Arise has been a long-time partner and advocate for small businesses. The Arise Platform is a means of controlling your own destiny, and a first step to seeing how far you can go on your own. It de-risks the proposition of starting a call center business and gives small business owners the means to schedule their work around their lives resulting in more work-life balance and the ability to spend more time with loved ones. The survey revealed that approximately 64% of call center businesses using the Arise platform are minority-owned and 89% are women-owned. About Arise Virtual Solutions Inc.
Arise is a pioneer of on-demand customer management technology and business process outsourcing. Our cloud-based platform provides a virtual network to connect primarily work-at-home service professionals running small call center businesses to companies needing contact center and other services. 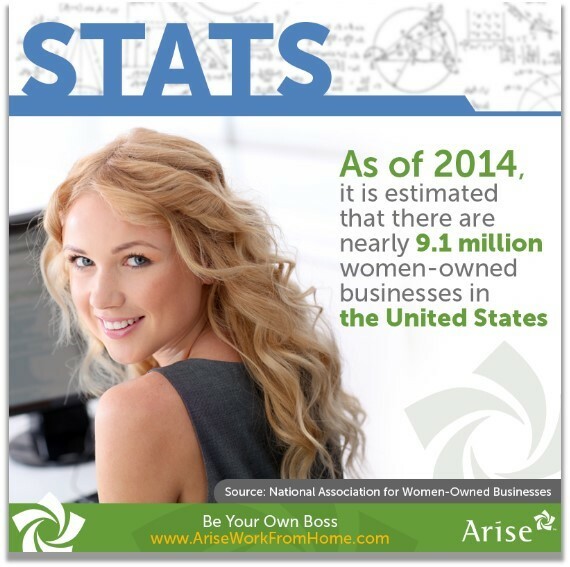 Learn more about Arise Virtual Solutions Inc., please visit www.arise.com.